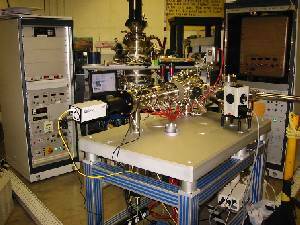 WHAT: As part of the beamline team contribution to the CLS Spectromicroscopy facility, a group of Canadian Scientists lead by Stephen Urquhart (U. Sask) applied for an NSERC Major Installation grant in Nov-2000 to fund a mobile X-ray Photoemission Electron Microscope (X-PEEM). The grant was awarded in Mar-2001, and an Elmitec PEEM selected and ordered in Jun-2001. 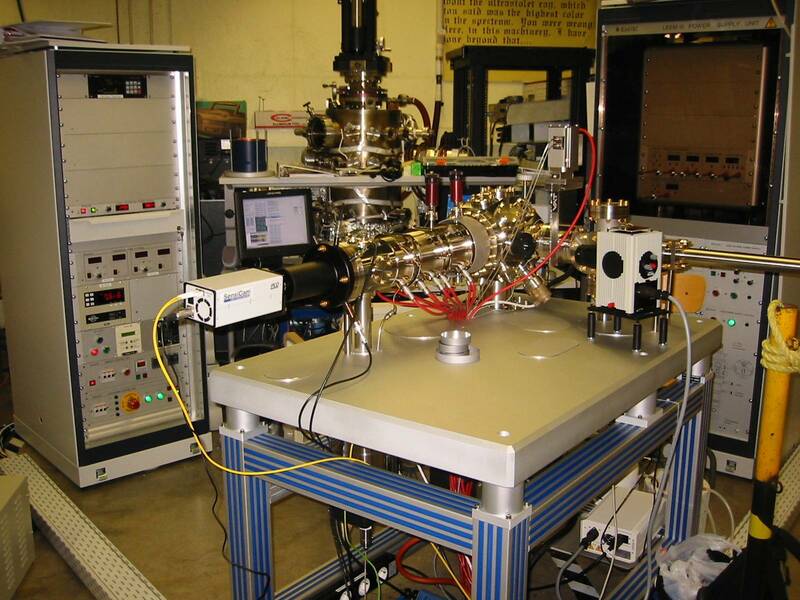 This instrument was delivered to SRC the U-Wisconsin Madison synchrotron facility, on April 11, 2002 and acquired its first image at that site on 16-Apr-02. 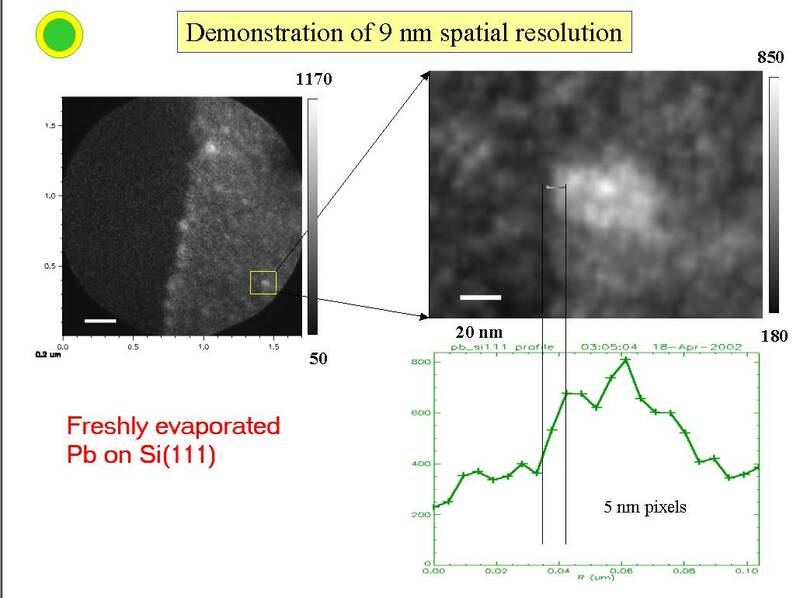 It will be used on a variety of beamlines at SRC over the next few years, and be moved to the spectormicroscopy beamline at CLS when that line is operating smoothly - likely some time in 2004. 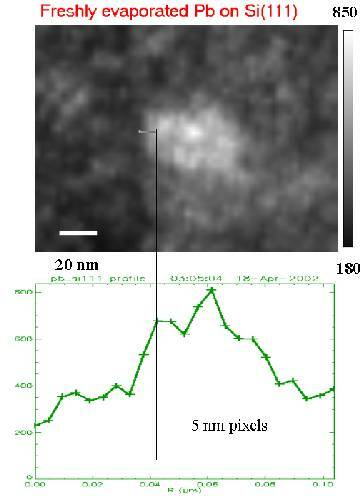 CaPeRS has already demonstrated better than 10 nm resolution with a Hg arc lamp (world record resolution with similar instruments is 3 nm). In the hands of Adam and Stephen in our first test run we were able to achieve better than 20 nm on a non-ideal Pb on polycrystalline Mo sample, using Hg arc lamp illumination. 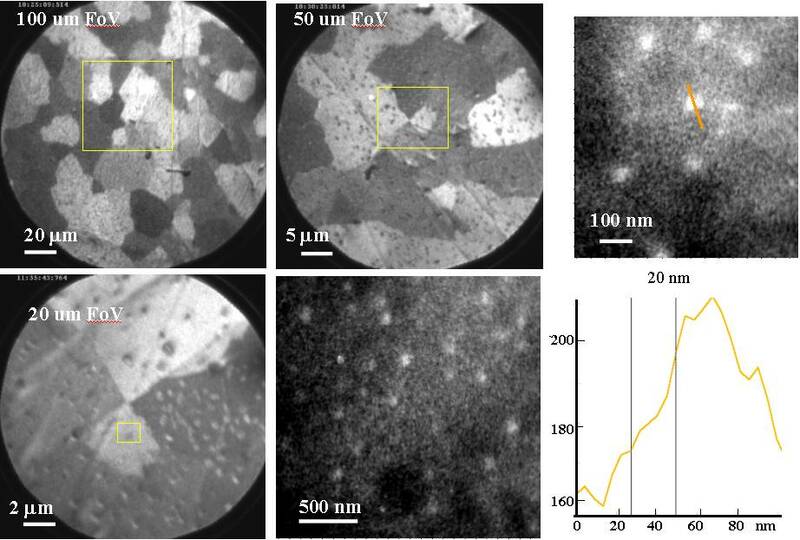 It will be used for a variety of surface and thin film science - biomaterial optimization, X-ray natural circular dichroism, tribology, magnetic thin films and nanostructures.